One in six people worries that they're sick even though their symptoms don't signal disease, and often these patients aren't swayed by tests that show they're fine, Scottish researchers report. "I was surprised that a lot of primary care doctors tend to order tests, even if there is not a substantial basis for them, in the hopes they would reassure patients and lessen their worry," said Dr. Bryan Bruno, acting chair of psychiatry at Lenox Hill Hospital in New York City. Many patients suffer from hypochondria, which is the belief that physical symptoms are signs of a serious illness even when there's no medical evidence to support that belief, explained Bruno, who was not involved with the study. "There are a lot of patients with hypochondriac tendencies and they tend to worry a lot, and negative test results often don't resolve their worry or show any kind of improvement in their symptoms of hypochondria," Bruno added. 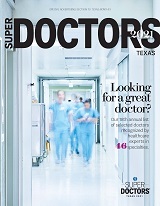 The new report was published in the Feb. 25 online edition of JAMA Internal Medicine. For the study, Dr. Alexandra Rolfe, from the University of Edinburgh, and Dr. Christopher Burton, from the University of Aberdeen, collected data from 14 studies that included nearly 4,000 patients. Rolfe and Burton found that diagnostic tests had no effect on patients' concern about being sick or their anxiety. In 10 of the studies, patients continued to have symptoms of their imaginary disease, the investigators found. "Diagnostic tests for symptoms with a low risk of serious illness do little to reassure patients, decrease their anxiety or resolve their symptoms, although the tests may reduce further primary care visits," the researchers concluded. "There are no guarantees related to our health, and there is virtually no absolute certainty in medicine," said Dr. David Katz, director of the Yale University Prevention Research Center. "We -- doctors and patients alike -- are obligated to deal with probabilities," he said. "When the probability of disease is very low before testing, a negative test cannot make it much lower." There is an opportunity to educate the public in how probability influences medical decisions, Katz said. "This is information doctors and patients can and should share, to reach robust and reassuring conclusions together," he said. "Doctors, however, should indulge patients only in testing that is of real potential value," Katz added. Bruno added that doctors need to use their judgment when ordering tests and base them on the need for the test and whether the test is cost-effective. There is more pressure now on doctors to justify their care, Bruno said. "Doctors are really having to demonstrate they are delivering appropriate care, prescribing the right treatments and ordering the right tests," he said. There are some patients who are delusional about their health, and these patients should seek mental health treatment, Bruno added.